Volkan Oezdemir might be facing a felony battery charge, but that won’t prevent him from trying to batter UFC lightweight champion Daniel Cormier (pictured) at UFC 220. On Wednesday, the UFC announced the 205-pounders will collide in the January 20 event in Boston. It is likely the title tilt will headline the gig. Earlier this month, Cormier took a Twitter poll asking fans who his next dance partner should be. Oezdemir emerged as the popular vote, and Cormier was more than happy to oblige. However, Oezdemir’s recent run-in with the law put the scrap in jeopardy. Oezdemir was arrested earlier this month in Florida for aggravated battery causing serious bodily injury, which is a second-degree felony charge. He allegedly knocked a man out cold outside of a bar this past August. Oezdemir is facing up to five years in prison if found guilty. It’s an odd situation for Cormier, as he’ll enter the octagon as UFC light heavyweight champion despite losing to Jon Jones in his last outing. However, Jon Jones once again pulled a Jon Jones and was flunked another drug test. 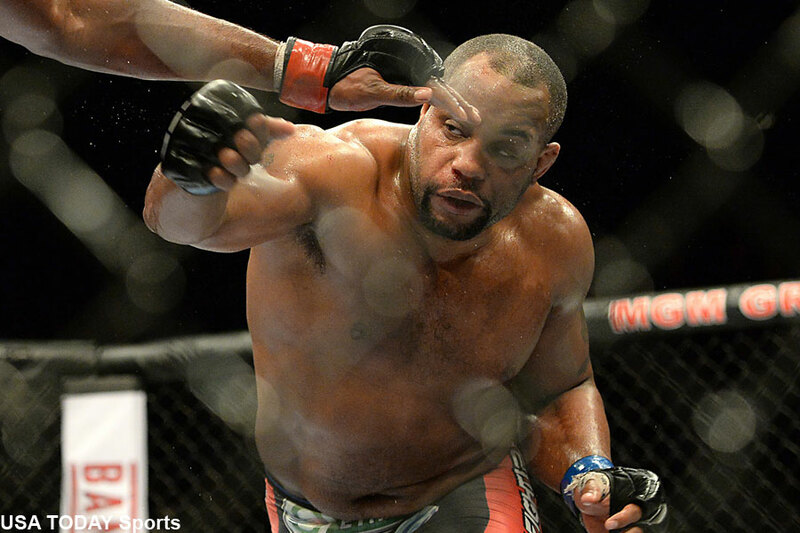 Cormier was handed back his belt and his defeat to Jones was overturned to a no contest. Oezdemir is perfect through his last five contests. His last two fights have lasted a total of 70 seconds.